A recent Worcester Polytechnic Institute graduate, Andy Creeth is eager to enter the Boston startup scene. 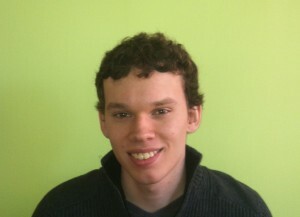 A programmer from a young age, Andy also enjoys playing the piano, listening to music and playing video games. We’re excited to have him join our growing team! Where are you from and what have you done before Yesware? I am originally from Wilton, Connecticut, and attended college at Boston University for two years before transferring to Worcester Polytechnic Institute. I had a summer internship at MIT Lincoln Laboratory developing low-level system software. I just finished my undergraduate degree at WPI and am excited to start my career at Yesware. How did you grow into a Software Engineering role? I started playing around with programming in middle school programming my brother’s TI-83 calculator. I experimented with various programming languages in my free time. When I started college, I became very interested in computer hardware and decided to pursue a degree in Electrical and Computer Engineering. During my MIT internship, I rediscovered my interest in software and decided to also complete a minor in Computer Science. That helped as I began to pursue a career in software. Why did you think that Yesware would be a good fit for you? I knew that I wanted to be part of a small team that worked on multiple projects that weren’t just doing the same thing day in and day out. Working at a startup like Yesware gives me the opportunity to explore more exciting problems and tasks than I imagine I would at a larger company. I am also particularly interested in learning about design challenges in scaling up a SaaS infrastructure. What are you most excited to accomplish in your first 100 days at Yesware? I am really excited to familiarize myself with the codebase. Most important to me is contributing to a well-functioning, tight-knit software team. That is a really exciting experience.